Mondays need snacks, right? Grab and go breakfasts, too, because everyone runs a little behind at the start of the week. Even though I work from home and don’t usually end up taking weekends off, I feel like I’m a little slower on a Monday too. Usually I try to make some easy snack/breakfast foods to have around for that pre-lunch slump and this carrot bread is a treat. 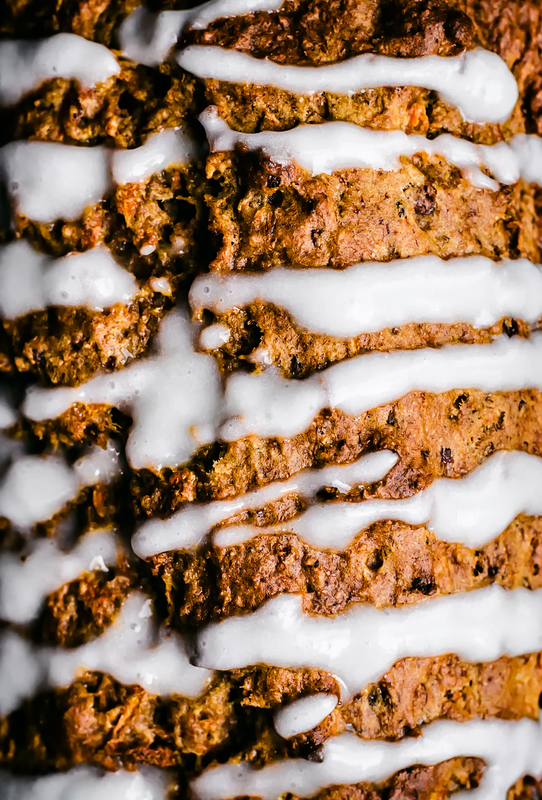 Even though it’s totally whole grain, made with spelt flour, and sugar free, it feels a bit like carrot cake. Especially with the coconut yogurt glaze on top (with just three ingredients) although it’s best served right away if you do glaze it. 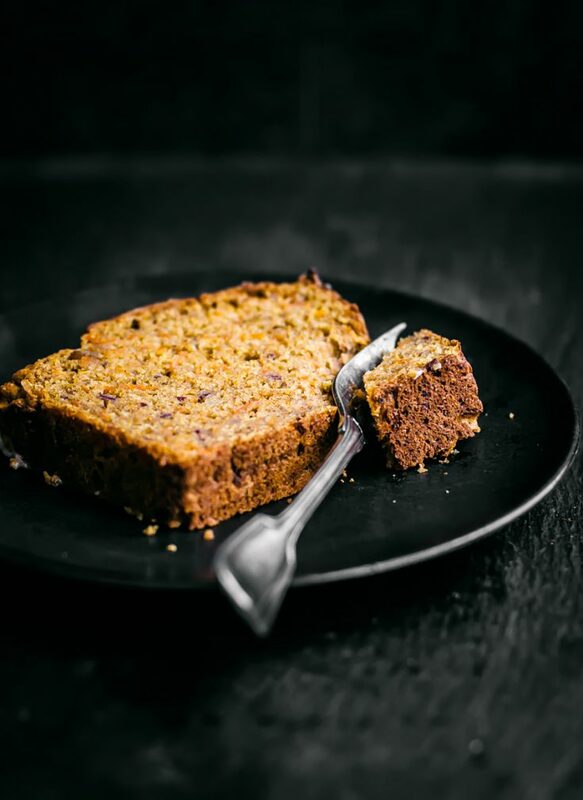 This is adapted from my morning glory carrot muffins, but a little more cake-like even though the ingredients are wholesome. Leaving the seeds out and tossing a banana in for sweetness adds a little bit of a dessert feeling. Most of all, I can’t get over how amazing the texture of this bread is. I don’t know why I still expect gumminess when I do fruit sweetened recipes, since I’ve been experimenting with it so much lately with awesome results. The original plan here was to go with very classic carrot cake flavours, cinnamon and maybe a little nutmeg. 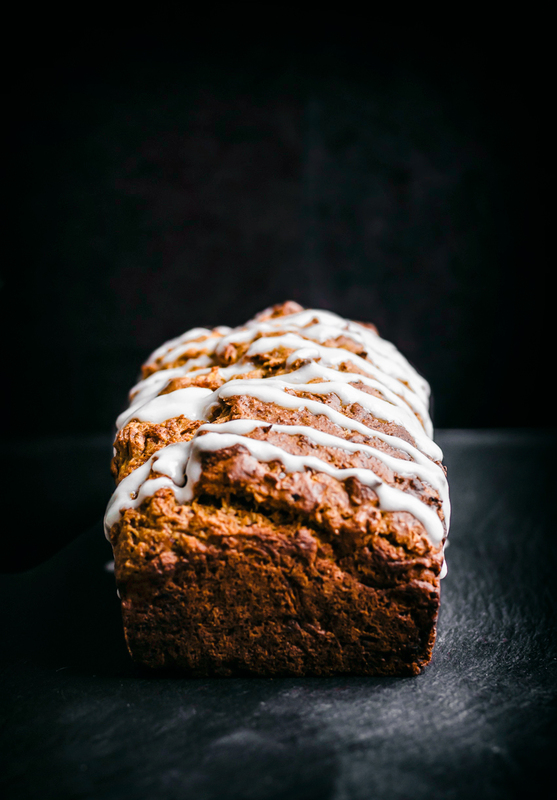 Ginger and carrots are best buds, though, and adding a little fresh ginger gives it a bit of spice and makes everything more exciting in the carrot bread department. Stick with fresh unless you absolutely have to use dried – it really makes a difference. 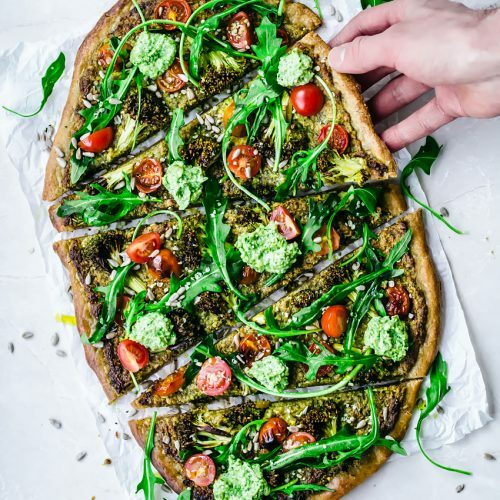 I’m a big fan of olive oil in quick breads like this, because I think the flavour combines well with the other fruits/veggies, but I have made it with other oils if you’re worried it’ll be bitter. Olive oil was by far my favourite so it’s what’s listed in the instructions. The first iteration of this carrot loaf was terrible. Soggy, dense, and all-around awful. I think we only got through half of it and ended up composting the rest, which hardly ever happens. 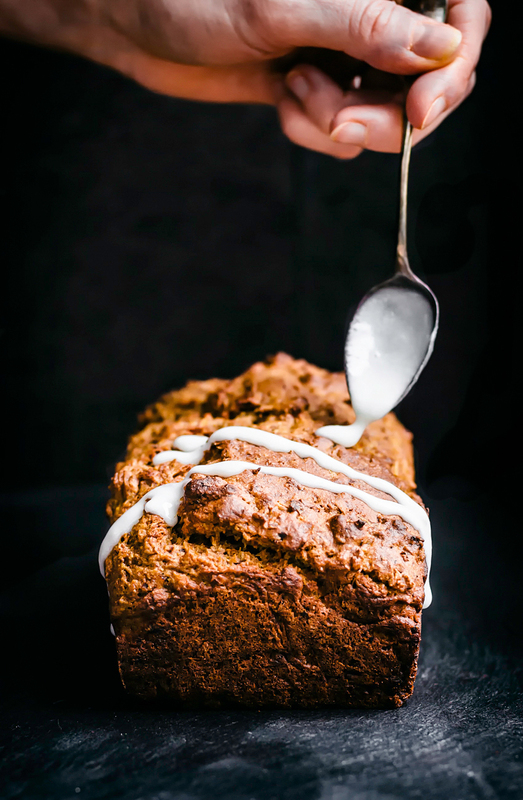 A few tweaks and tests later, it’s well worth trying and right up there with banana bread in my books – tied with my sunflower seed banana bread. 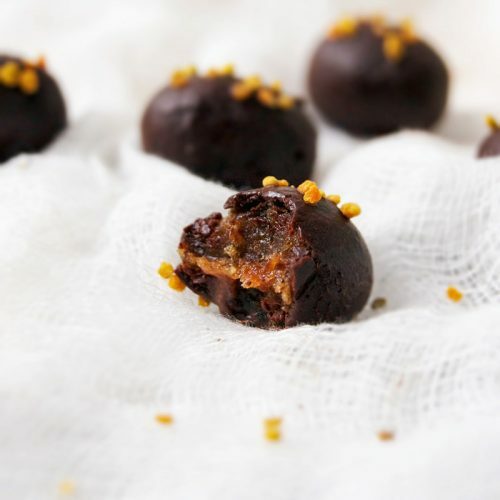 If you’re looking for something a little different but still well within the comfort-food snack zone, this recipe has you covered. 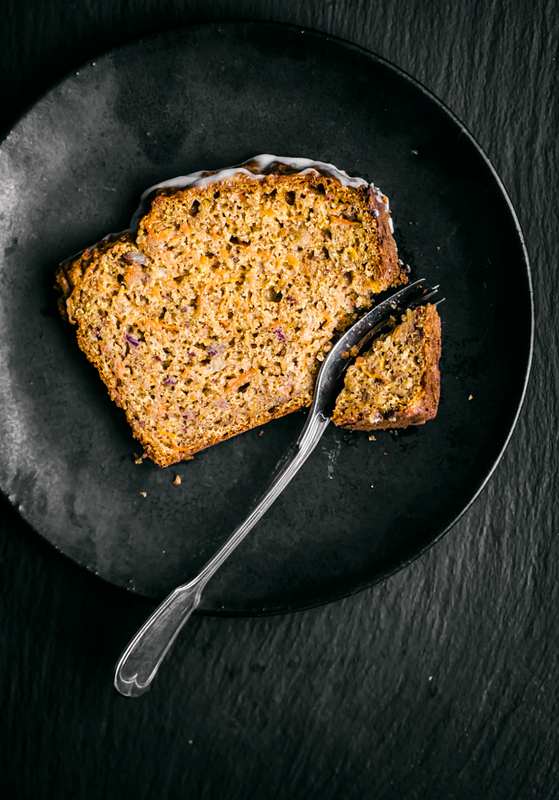 Fruit-sweetened whole grain carrot bread flavoured with dates, banana, and ginger makes for a healthy, delicious breakfast or snack. Vegan and sugar-free. Preheat the oven to 180C / 350F and grease a standard loaf tin. In a large bowl, whisk together the flour, cinnamon, baking powder, baking soda, and salt. Set aside. Using a food processor, blend the banana, dates, and olive oil until smooth. Add the milk and ginger, then pulse to combine. Alternatively, you can blend them all in a high-powered blender together if you have one. Stir in the shredded carrots. Add the date mixture to the dry ingredients and stir until just combined and no streaks of flour remain. Place the batter into the prepared baking tin, and bake for 50-55 minutes, or until golden and a toothpick can be inserted and come out clean. Cool for 15 minutes before removing the bread from the tin and cooling completely on a rack. Store in a sealed container at room temperature for 3-5 days. To make the glaze, place all of the ingredients into a bowl and whisk with a fork until combined. Drizzle over the cooled loaf and serve immediately. The glaze will soak in after about an hour, so if you're going to save it for later, just add it to individual slices straight from the refrigerator. * If your dates aren't soft, soak them in very hot water for 30 minutes before making the loaf. This bread looks so scrumptious! I love the addition of dates for sweetness!! 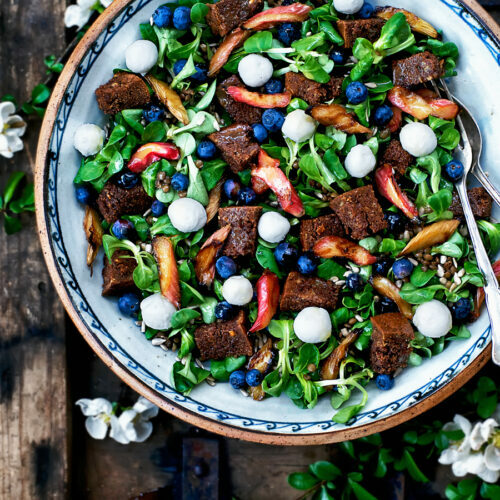 can i use almond flour or graham flour? Unfortunately I haven't tested them in this recipe, so I can't guarantee that they'll work – I'm not sure how well the bread would hold together in that case. It might work with something else to help bind it but I'm not sure how well it'd rise. 280g of spelt flour is about 1 cup according to my scale. I'm in an extremely humid climate though, so I think water weight could account for disparity. Would you recommend 280g or 2 cup, if I had to pick one? Crazy! I just weighed a cup again to make sure. From what I've read, humidity couldn't account for such a large difference in weight, so it might be that your flour is very packed or something like that as well. I think either will work as long as you stick to the same form of measurement for the other ingredients as well, but I'd usually recommend using metric. I hope it works out! 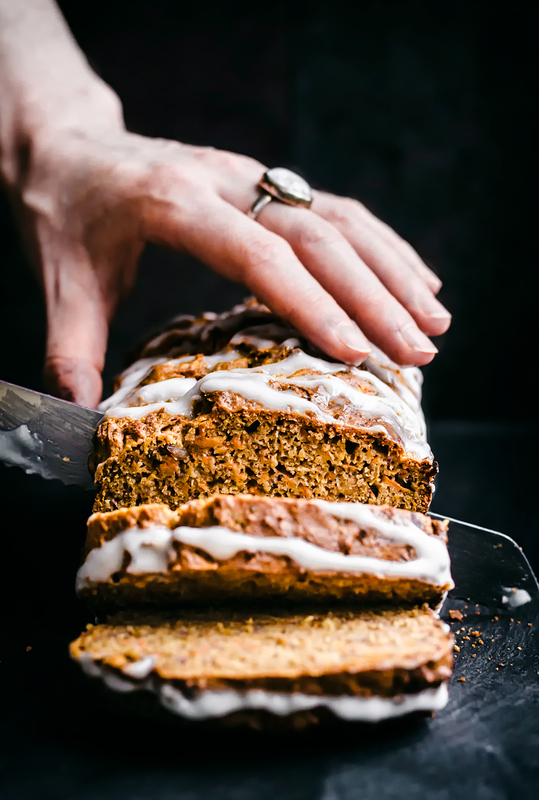 This carrot bread looks absolutely delicious! I was just wondering if I could substitute spelt flour with oat flour? Would the bread hold together? Thanks for this wonderful recipe! Thank you, Barbara! I’m not sure how well it would work with oat flour – it might not hold together. If you try it, perhaps add about 1/4 cup of chia to help keep things from falling apart, but I’m not sure! Sorry I can’t be a bit more help. Hi Alexandra, love your website! Quick question, I’ve got a shedload of apples from the garden I want to make use of – do you think subbing grated apple for the carrot would work here? If so, would you recommend changing the ratio? Thanks! Thank you so much! Do you know, Ewan, I also have a pile of apples and was planning on adapting this recipe to make the change? It will work – the apples have a higher moisture content than carrots, but not enough to make a big difference. You can reduce the milk by a couple of tablespoons to make it up, but it should work fine keeping the ratio the same as well. Hi!! 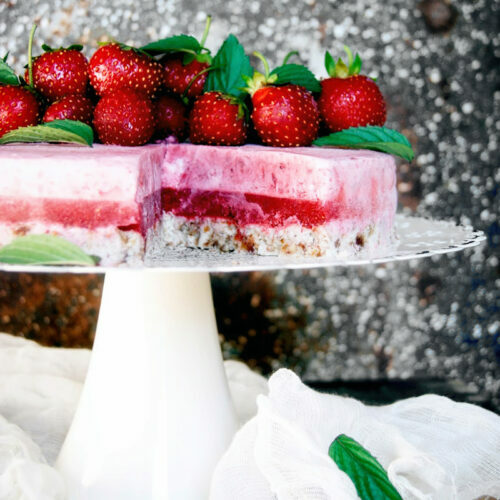 I’m cutting out added sugars from my diet for 1-2 weeks to help me get rid of my addiction to sugar and I want to make this for a nutritious sweet treat. 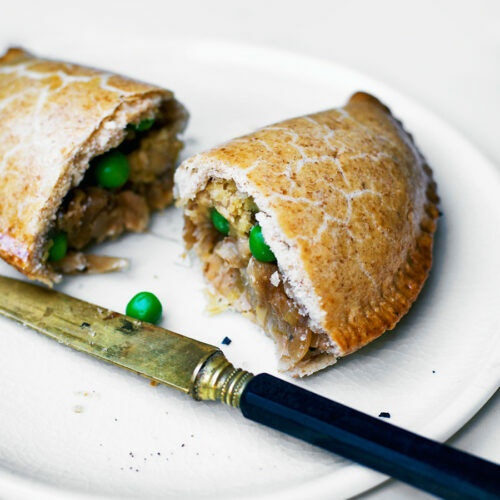 Could you make this with whole wheat flour instead of spelt? Thank you!! Hi Sara! I think whole wheat flour would work fine, especially whole wheat pastry flour! Would it be okay to use regular all purpose flour? I’m sure that would be totally fine, go for it!